In this post of Homeo Expert, we shall discuss the best Homeopathic Medicine for Dengue fever or best homeopathic remedies for Dengue Fever. The cause of this disease is a mosquito and it can develop in tropical as well as subtropical areas of the world. We pronounce it as dengee or dengey and dengoo. There is a list of areas where it can become a threat including India, Pakistan, Philippines, Puerto Rico, Brazil Taiwan and Latin America and it is increasing day by day. The main cause of Dengue fever is dengue virus which is also known as break bone fever. The main cause of dengue fever is dengue virus and it is spread by mosquitoes. It enters the human body when the mosquito gets it from another infected human when it bites it. Then the mosquito becomes infected and transfers it to another human by biting him. So it goes into the blood of the person. And severe bleeding can also lead it to low blood pressure. Homeopathic medicines are made of natural substances and safe for use. If we talk about conventional medicines including allopathic medicines, they do not have any treatment of dengue fever. They can also give you instructions to prevent it. 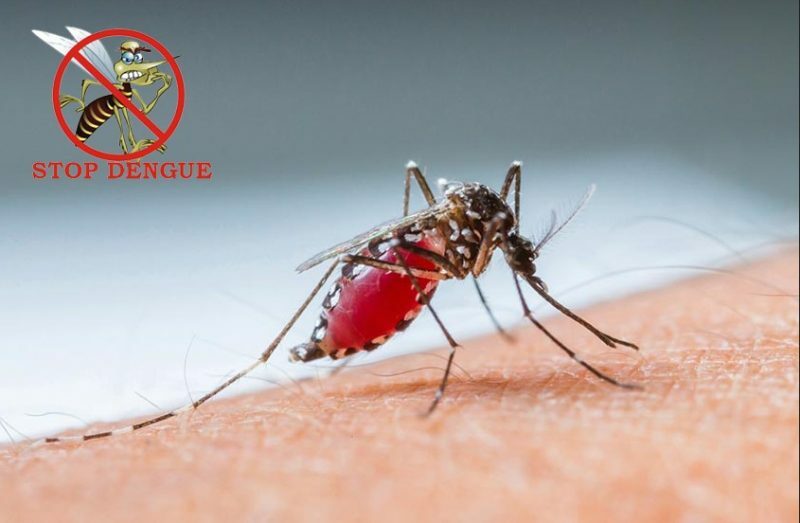 Homeopathic remedies for dengue fever are available and I have treated thousands of cases of dengue fever successfully using homeopathic treatment. We have five days guaranteed treatment for dengue fever and we had solved the cases from UK, Canada, and USA and many other countries successfully. So homeopathic medicines are suitable for all ages and they do not have any side-effects as well. They empower the immune system to get rid of the disease. There are several homeopathic remedies for dengue fever which are effective. It is because homeopathic medicines are made of natural substances and safe with zero side-effects. Therefore, I have cured more than thousand cases of dengue fever within 5 days. I will rank Eupatorium Perfoliatum as the top Homeopathic remedy for Dengue Fever. It is due to the fact that the symptoms of dengue fever are almost same of this medicine but it does not work in dengue fever alone. As you know we have to follow the symptoms of the patients before making a selection of the medicine. So do not self-medicate because you can make the condition worse and dengue fever can become life-threatening. Eupatorium Perf is the best medicine for dengue fever when there is a severe pain in joints and muscles with high fever. In addition, Eupatorium Perf is considered as “bone set” and the pain may be present in any bone or may be present in the whole body. The patient of this medicine feels that his back is broken into two pieces. Eupatorium is also helpful in pain in the eyeballs and it gives relief to pain. It also recovers the patient from vomiting and nausea. The patient of Eupatorium Perf has severe chill with shivering and body aches along with dengue fever. At times, sweats give relief to the symptoms of the patient and the pain in the head remains the same. Gelsemium is another homeopathic medicine for Dengue fever with weakness and prostration and it is also one of the top 5 remedies for dengue. I consider it a valuable homeopathic medicine for dengue when the patient feels extreme weakness and prostration. The symptoms of dizziness, dullness and drowsiness are also accompanied by Dengue fever and Gelsemium is suitable for this condition. Gelsemium is the best homeopathic treatment for dengue fever when the patient wants to lie down in silence without any disturbance and he also becomes lethargic in nature. The patient of this medicine wants to keep quiet and does not like a conversation. There is another symptom that is, headache with the heaviness of eyes and it indicates the usage of Gelsemium. Migraine can occur in the back portion and in some cases, it can move to the eyes and forehead. The patient of this medicine does not feel thirst in most of the cases. We can consider Eupatorium Perf as the top natural homeopathic medicine for dengue with body ache. Additionally, Rhus Tox and Bryonia Alba are also one of the best and helpful homeopathic remedies to give relief from body ache and joint pain in dengue cases. The selection of the medicine depends on the features or symptoms of medicine. In Bryonia Alba, the pain of the patient becomes worse by a slight movement. So it is suitable for those patients when the patient gets relief from pain when he is in the rest position. The patient may feel extreme thirst with a dry mouth. The opposite is the case with Rhus Tox, the patient of this medicine gets relief from movement and the pain becomes worse by taking rest. Top natural homeopathic remedies for dengue fever with severe headaches are Bellodanna, Gelsemium and Eupatorium Perf. Gelsemium is the best homeopathic treatment for dengue fever when the patient feels pain in the occiputal lobe (in the back). It has symptoms of the heaviness of eyes along with pain in the head and it moves from head to forehead and eyes. Belladonna is suitable medicine for dengue fever with a severe headache when the pain occurs in the sides. The nature of the pain is throbbing and violent and the tight binding of the head gives relief. Eupatorium Perf is suitable for those dengue fever patients who feel the headache in the top of the head. The patient also vomits along with headache or migraine. There are symptoms of nausea and vomiting in dengue fever and I recommend Arsenicum Album and Ipecac for these symptoms. Ipecac is a useful homeopathic remedy for persistent vomiting and nausea. In Arsenicum Album, nausea becomes worse if the patient smells or have a sight of food. And the symptom of vomiting gets worse after eating and drinking anything. Although homeopathic medicines for Dengue Hemorrhagic fever are also present but you may need an urgent medical advice or hospitalization in such cases. It is due to the fact that these cases are life-threatening and need urgent attention but I have also cured such cases. China, Arsenicum Album and Ipecac are the best homeopathic medicines for Dengue Hemorrhagic fever. China is a suitable medicine for bleeding from any mucus membrane with extreme physical and mental fatigue. Physical weakness and prostration with hemorrhage indicate the usage of China. In addition, when the haemorrhages come with vomiting and nausea, Ipecac is a helpful and effective homeopathic medicine for this condition. I also suggest homeopathic medicine Arsenicum Album when the patient feels restlessness and anxiety with bleeding. The patient of this medicine also has a fear of death with anxiety.